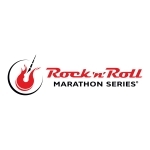 LOUISVILLE, Ky.--(BUSINESS WIRE)--The Rock ‘n’ Roll Marathon Series today announced Humana Inc. (NYSE: HUM), a leading health and well-being company, will return as a series-wide partner and title sponsor of four running events – in New Orleans (Feb. 28, 2016), Dallas (March 19-20, 2016), Chicago (July 15-17, 2016), and San Antonio (Dec. 3-4, 2016) – as well as several 5K races throughout the year designed to help first-time participants join the fun and get started with something healthy. “To round out Humana’s partnership with the Rock ‘n’ Roll Marathon Series, Competitor Group, which owns and operates the Rock ‘n’ Roll Marathon Series, will coordinate 5K races with Humana,” said Molly Quinn, senior vice president of Competitor Group. These races, which will be free and open to the public, are designed to appeal to a wide range of fitness levels, from first-time participants to accomplished athletes. 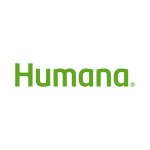 Humana Inc., headquartered in Louisville, Ky., is a leading health and well-being company focused on making it easy for people to achieve their best health with clinical excellence through coordinated care. The company’s strategy integrates care delivery, the member experience and clinical and consumer insights to encourage engagement, behavior change, proactive clinical outreach and wellness for the millions of people we serve across the country. The Rock ‘n’ Roll Marathon Series attracts more runners than any other running series with 30 worldwide destinations in 2016. Established in 1998, Rock ‘n’ Roll Marathon Series’ simple idea of making running fun has transformed the U.S. running landscape by infusing the course with live bands, cheer teams and entertaining water stations, creating a block-party atmosphere for participants and spectators alike. In its history, the Rock ‘n’ Roll Marathon Series and its charity partners have raised more than $320 million through the event for a variety of worthy causes. Race weekend kicks off with a free Health & Fitness Expo showcasing the latest in running gear, sports apparel, health and nutritional information and much more. Events culminate with a celebratory finish-line festival and Toyota Concert Series, featuring some of the biggest names in music, with past headliners including Kid Rock, Macklemore & Ryan Lewis, Aloe Blacc, Pitbull, FloRida and Bret Michaels. For more information, visit RunRocknroll.com or follow @RunRocknRoll on Twitter.